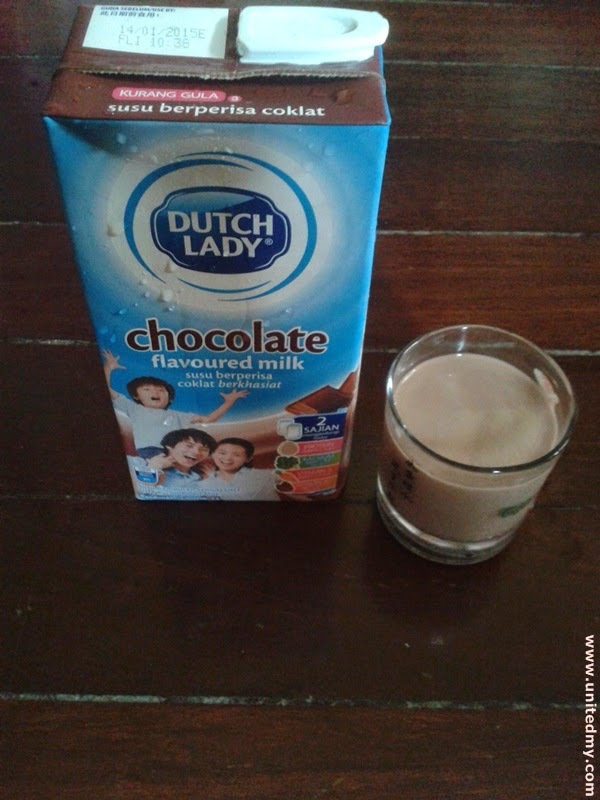 More than 1.3 million views on both Youtube video clip Dutch Lady Syiok Choc Taste Challenge. That is a very successful online video marketing. I had watched it and deep down in my heart I felt interested. I wanted to taste some of it and what does it mean by "UHT" they kept repeating. UHT stands for Ultra High Temperature. It has to be related to temperature and milk longevity. UHT is new and popular food technology to heat 1 or 2 seconds the milk to kill harmful microbes inside milk and increase shelf life of the milk. Due to the short exposure, Dutch Lady Chocolate UHT maintained most of it tastes. For your information, Dutch Lady Chocolate UHT seem to have very uncommon advantage. You do not need to refrigerate it. It sound so ridiculous all milk needed to be refrigerated. Well, that what everyone said about UHT milk. Hate to see that "Once opened, drink it within 3 days" I never really finish it in 3 days. I could left it for a week and it still taste good. What do you expect ? True Asian don drink that much milk. Besides, This is what I hate to hear the most. Somebody showed me a food pyramid and there is a milk it is one of the food and beverage we should have refrain eat or drink too much. I am very sure this food pyramid chart maker must be came from one of the Asian countries. Have you drink your milk today ?? I wonder what are the reaction of Dutch Lady staff when most of the Malaysian peeled the other box rather than choosing Dutch Lady UHT chocolate. I still not convinced did they ever put another chocolate beverage brand in a test. I bet they put all Dutch Lady chocolate in those container and masked it. They seem so happy after tested Dutch Lady UHT Chocolate. No one can deny the power of free beverage in shopping mall.